and not just dismiss them as racists. 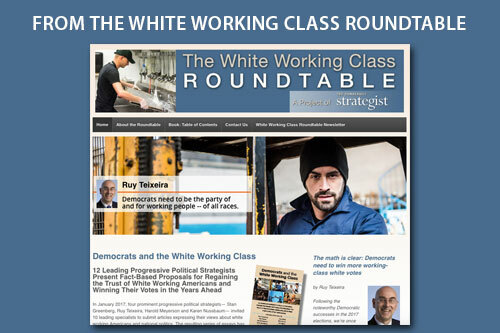 Visit the website of the White Working Class Roundtable. All of us in the chattering classes had an immediate reaction to the release of the redacted Mueller Report. Here was mine at New York. “The Office of Legal Counsel (OLC) has issued an opinion finding that ‘the indictment or criminal prosecution of a sitting President would impermissibly undermine the capacity of the executive branch to perform its constitutionally assigned functions’ in violation of ‘the constitutional separation of powers.’ Given the role of the Special Counsel as an attorney in the Department of Justice and the framework of the Special Counsel regulations, see 28 U.S.C. § 515; 28 C.F.R. 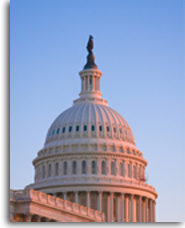 § 600.7 (a), this Office accepted OLC’s legal conclusion for the purpose of exercising prosecutorial jurisdiction. In a sort of Catch-22, Mueller then concluded that it wouldn’t be fair to Trump to accuse him of criminal conduct if he wasn’t going to be hauled into court and given an opportunity to properly defend himself. So very carefully Mueller is suggesting: Here’s what the president did. I can’t do anything about it, so I will not call it criminal. Use my findings to impeach him if you wish, Congress. As Nancy Pelosi could tell you, there are solid practical grounds for the U.S. House of Representatives to eschew impeachment proceedings, beginning with the fact that there is approximately zero chance the Republican-controlled Senate would vote to convict Trump, particularly now that we are in the active phase of a presidential election cycle. So it may well be that the best Democrats, and Trump’s other critics, can do is to take Mueller’s findings and whatever else other prosecutors or House investigators can uncover, and present it clearly as part of the case against the man’s reelection. Should Mueller Report Change Democratic Strategy? Presidential candidate Rep. Tim Ryan, asked this morning about impeachment in a telephone interview on Morning Joe, said that the people he was talking with are more concerned about their kid’s future, than impeachment. “I’m not there, yet…If we go down that road, we’ll disconnect from working-class people,” Ryan said and urged letting Chairman Nadler and the other committees do their job first. From Chris Cillizza’s “Why Democrats Would Be Dumb to Pursue Impeachment” at CNN’s The Point: On Thursday, after the release of the Mueller report, House Majority Leader Steny Hoyer told CNN’s Dana Bash this: “Based on what we have seen to date, going forward on impeachment is not worthwhile at this point. Very frankly, there is an election in 18 months and the American people will make a judgment.”…There’s no chance that Pelosi will OK impeachment proceedings. There’s plenty in the Mueller report to keep Republicans, who have stood behind Trump ever more solidly over the past two-plus years, in line. There will be no broad-scale abandonment of Trump by the GOP. 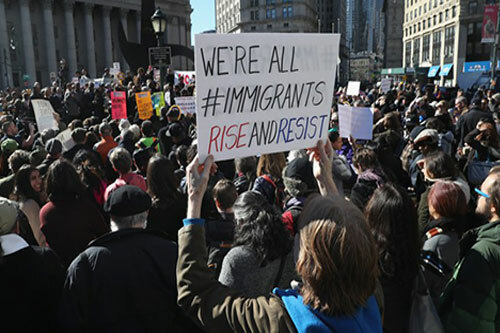 In fact, there may well be a rallying behind him — and a call for Democrats to move beyond the Mueller report. Update: “Elizabeth Warren became the first Democratic presidential candidate to call for Congress to begin impeachment proceedings against President Trump Friday afternoon, citing the “severity” of “misconduct” detailed in the report by Special Counsel Robert Mueller. — from “Elizabeth Warren calls on Congress to begin impeachment proceedings against Trump” by Grace Segers at cbsnews.com. This is just a partial snapshot of the views of some leading Democrats at this political moment. New revelations could emerge at any time. Geoffrey Skelley has a post, “Who Might Make The Democratic Debate Stage?” at FiveThirtyEight, which notes that “Democratic hopefuls have two ways of getting onto the debate stage, according to a February news release from the Democratic National Committee. They can earn at least 1 percent of the vote in three different national or early-state polls conducted by qualifying pollsters, or they can receive donations from at least 65,000 unique donors, with at least 200 individual donors in at least 20 different states.” Skelley goes on to explain that 15 candidates have qualified, with more expected — maybe over 20, even though the DNC caps the total at 20. The debate spots would then be allocated by the highest average scores. But, really what’s so great about having 20 candidates on a stage? Why not have randomly-drawn, one-on-one match-ups all over the country, even in small towns? It could be a fun thing to attend on a slow Thursday night. At Vox, Li Zhou argues that “Democrats are prioritizing “electability” in 2020. That’s a coded term. It often means white and male.” Zhou writes that “the expectation of who can win is inextricably wrapped up in the knowledge of who has won…And in the case of the presidency, that mold consists overwhelmingly of older white men, a precedent that could hurt candidates who don’t fit those characteristics…“Metrics like authenticity and likability and electability are just code that we use against candidates who are not like what we are used to,” Christina Reynolds, a spokesperson for Emily’s List, a political organization that supports women candidates, previously told Vox…“Electability,” in other words, could be another term that actively excludes candidates who don’t fit whatever the historical profile of a political candidate looks like.” Zhou notes the experiences of President Obama, Democratic candidate for georgia Governor Stacy Abrams and Sen. Kamala Harris in confronting the “electability” argument. The article title overstates the reality, however, in that many Democrats have refused to be hustled by the electability argument. Certainly, Democrats can do better in running more diverse candidates. 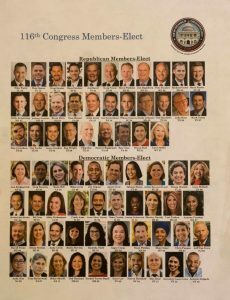 But the photo below of Dems elected in 2018 shows quite clearly which party’s candidates look more like America, and Obama and HRC did very well with Democratic voters. David Frum’s “Democrats Are Falling Into the Ilhan Omar Trap: By rushing to stand with the controversial congresswoman, the 2020 contenders are allowing Trump to transform her into the face of their party” also seems overstated to me. Surely most persuadable voters understand that Democrats are a highly diverse party, which includes Sen. Joe Mancin, who recently endorsed a Republican Senator, as well as Rep. Omar. It’s not like Democrats are going to sit around and quietly take crap from Republicans who try to stereotype them. Nor will Democrats in competitive elections risk their re-election prospects by over-praising Rep. Omar. As for “the face of their party,” Republicans have a face, Democrats have faces. Most voters get that. It’s probably a good thing that “Former Virginia Gov. Terry McAuliffe won’t run for president in 2020.” Not that McAuliffe wouldn’t make a good president — he was an excellent Governor of Virginia. As for reasons why, he cited the glut of presidential candidates and another urgent priority: McAuliffe is one of the strongest “team players” among Democratic leaders, and one who gets it that Democrats have a lot of work to do in order to become competitiive in states across the nation. CNN Politics reporters Caroline Kelly and Dan Merica quote McAuliffe’s instructive explanation: “I’ve listened to the Virginians and I’m going to help Virginia for the next six months. I could spend eight months traveling around the country running for president, or six months really making a difference,” the Virginia Democrat told CNN’s Chris Cuomo during an exclusive interview on “Cuomo Prime Time.”…McAuliffe said that, after being courted by state Democrats, he would be “going home” to help coordinate the campaigns of the state’s national and local Democrats. “I’m going to work the next six months every single day to make sure Virginia, we win the House and the Senate, and then next year I’m going to work like a dog to make sure that we are blue,” he said. “We were the only southern state that went for Hillary in 2016, very proud of that. We need to do it again in (20)20.” Dems could use a few more like him. Truscott’s sober warning for Democrats merits consideration by all the presidential candidates. My beef with the TV media is a little different: Stop interrupting your interviewees with lengthy comments designed to make yourself look good. The point is to educate the public. Give candidates running for high office more room to explain their views. Viewers hate interviews which dissolve into two or three people all talking at the same time. If you need a role model for how to conduct a great interview, check out the now retired Brian Lamb’s more than 5,000 thousand interviews at C-SPAN. His thoughtful, but short, pointed questions served his viewers and his interview subjects extremely well. One of his interview subjects, the late Christopher Hitchens dedicated his bio of Thomas Jefferson to Lamb; “For Brian Lamb… a fine democrat as well as a good republican, who has striven for an educated electorate”. “Pelosi explained to the London school audience that her district as well as the one represented by [Alexandria] Ocasio-Cortez vote Democrat no matter what. 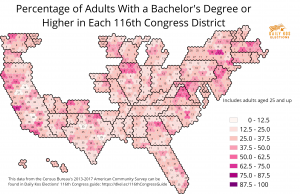 Just to be clear, Pelosi’s right about the noncompetitive nature of her own San Francisco House district and AOC’s in New York: The former is the sixth-most Democratic district according to the Cook Political Report’s Partisan Voting Index (PVI), and the latter is the 31st-most Democratic. Hillary Clinton won 77 percent of the vote in AOC’s district, and Obama won 81 percent in 2012. Now Pelosi also had words of praise for her preternaturally talented young colleague. But you have to figure she wishes AOC, who has replaced Pelosi as the principal target of sexist conservative agitprop, had a slightly lower profile. But what, precisely, has Ocasio-Cortez done to hurt her party? She’s promoted her own policy point of view — which every member should have the right to do — with amazing success. She’s criticized Democrats who join Republicans on key procedural floor votes, and warned them they are making themselves targets for both the left and the right. And she’s expressed support for the leftist group Justice Democrats — who gave her crucial support in her audacious 2018 primary race against one of Pelosi’s lieutenants, Joe Crowley — in their determination to encourage primary challenges to centrist or conservative Democrats in safe blue districts. It’s unclear how any of this threatens Pelosi’s majority, except insofar as conservatives have sought to identify the entire Democratic Party with this one democratic socialist member’s views — which of course they are going to do in any event. Unless the entire House Democratic Caucus is expected to repeat the party line like cicadas, then there will always be members from districts where a more progressive viewpoint is viable than is politically sustainable everywhere. Their job is precisely to keep pressure on the leadership and the party to represent their constituents, too — not just the swing voters who have very nearly been hunted to extinction. And it doesn’t mean Democrats cannot accommodate candidates and members in more competitive districts with views more appropriate to local conditions. The big-tent principle should, however, work both ways. If AOC begins threatening primary challenges to loyal Democrats from swing districts who happen to disagree with her ideology or policies, or suggesting Democrats take a dive in national elections if their candidates are too “centrist,” then that’s a clear violation of party discipline and Pelosi would be justified in rebuking her. That hasn’t happened, though. So long as gerrymandering and simple concentration of partisan voters produces safe House seats, however, their valuable function is to produce restless insurgents who stretch the imaginations of their elders rather than time-serving perpetual incumbents who go along to get along. In truth, both Pelosi, the precedent-shattering Speaker, and Ocasio-Cortez, the progressive comet, represent the silver lining of the generally rotten system of partisan gerrymandering: It gives leaders the opportunity to emerge from the crowd of election-fearing pols. I don’t want to be a broken record on this but I continue to believe people are underestimating the potential effects of generational change on American politics. The data on generational cleavages in attitudes and voting behavior continues to accumulate and, if anything, is getting stronger as Millennials have fully entered the electorate and as the oldest part of the Gen Z cohort has reached voting age. “Election data suggests that the youngest voters are supporting Democrats, and surveys of teenagers not yet old enough to vote reveal them to be anxious about the current state of the country and likely to embrace liberal views. I have no quibble with these data except I believe white 18-24 year olds in 2018 were probably strongly not narrowly Democratic, My reading of the Catalist final data is that white 18-24 year olds were probably around +20 nationally for the House. So that’s not “narrowly”. A couple of weeks ago, we reported on field interviews showing Virginia voters’ overwhelming support for increasing teacher pay. These voters — even Republicans — were willing to pay an average of $19-$25 more per month in taxes to give teachers raises. There are many proposals under debate to address income inequality through taxation on the wealthy, an indicator of the political importance of tax policy. We took a long view of the importance of tax policy to voters, including different economic and demographic segments. 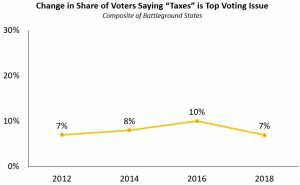 Overall, while there was some uptick in interest in 2016, the share of voters focused on taxation has been relatively modest over the last seven years. Unsurprisingly, Republican-leaning and higher-income voters are consistently the most focused on taxes, while people of color and Democratic-leaning voters are consistently the least likely to focus on these issues. Swing voters and white voters have had the greatest fluctuation in focus. Interestingly, following the 2017 Trump tax cuts, comparatively fewer voters are concerned about tax policy, an indication that the biggest GOP accomplishment has limited political appeal. What if we could shift the debate to make fair and adequate taxation a strength for progressives? 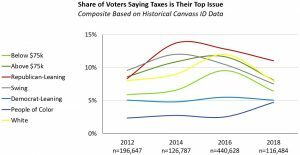 We know from experience and experimentation that Working America canvassers alter the frame through which voters consider the issue of taxes. Instead of focusing on limited government, they shift the focus to equitable investment in society. 1. Unexpected support. We know that we can find support, sometimes in many of the most unexpected places. A 47-year-old woman in Gainesville, Virginia, recently told our canvasser that she felt we have “the right person in the White House” and supported vouchers. Yet, she was willing to pay $30 more each month in taxes to improve public schools. 2. Make it local. Connecting taxes to local investment priorities instead of distant politicians can build dramatic support. In a clinical test targeting conservative voters in California’s Central Valley, we increased support for Proposition 6, the state’s infamous gas tax that funds infrastructure, by a whopping 14 percentage points in one conversation. By centering the conversation on local bridges and roads rather than statewide politics, voter opinion moved dramatically. 3. Tax fairness matters to working-class voters. In the Chicago suburbs — an area filled with tax-sensitive voters — we engaged voters on the issue of worker misclassification. Most of the voters, who were employed in traditional, full-time jobs with benefits, could not relate to the importance of workers being wrongly treated as independent contractors. But when we presented the issue as businesses shifting the tax burden to the voters because they skipped paying millions in employment taxes, that message resonated. As a result, hundreds of voters signed a digital petition to the state attorney general demanding enforcement. Conservatives have strategically pushed austerity, disinvestment and public subsidies for the wealthy. Rather than fighting for scraps under austerity, we go door-to-door and shift the framework entirely to investment in matters that affect people in their day-to-day lives. Our experience says that we have a critical window to shift to a tax equity and investment paradigm if we can connect the dots for enough people in key battlegrounds. The more voters understand, the more they demand justice. Democrats should get ready for the intensive campaign of demonization Republicans are planning for them. I wrote about this again at New York this week. 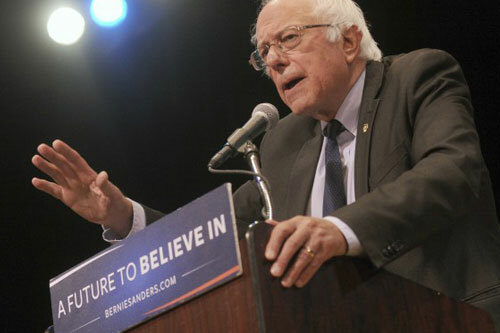 “’We’ve got five credible candidates for president in the Senate signed up for the Green New Deal and Medicare for none. If we can’t make that case, we ought to go into another line of work,’ he said. So there you have it: Red Scare 2020 is going to be a big and abiding thing. This clearly syncs Senate Republicans with the Trump reelection bid. It’s long been clear that his 2020 strategy will be what you’d expect from an abidingly unpopular president leading an unpopular party with unpopular policy positions: a relentlessly negative attack on his Democratic opponent using every weapon available. There’s some irony involved in a Trump-led party accusing its opponents of “extremism,” but it’s an age-old tactic: When you cannot credibly occupy the “political center,” you can always try to push your opponents even further from the center than you are. The “socialism” label for Democratic policy proposals could also help expose divisions in the Donkey Party’s ranks over significant variations in how to define the Green New Deal and how to implement Medicare for All, as candidates not named Bernie Sanders (the only self-identified “socialist” in the presidential field, so far at least) try to distinguish their approaches from his. On the other hand, conservatives have been calling liberals “socialists” for eons, and it’s no automatic magic bullet. Most notoriously, Barack Obama was relentlessly (if ridiculously) called a “socialist” by Republican-aligned media types going into the 2012 election, and it didn’t appear to work. For that matter, Trump himself deployed the “socialist” epithet toward Democrats going into the 2018 midterms, to no discernible effect. But when you can’t say much about your own party’s record other than pointing at economic indicators and hooting “Mine! Mine!” then creating and burnishing negative associations for the other side may be the only available strategy. This Gallup Poll data is from 2015 (chart via FiveThirtyEight). More recent polls indicate the public is not quite so alienated by the “sociailist” brand or so opposed to a candidate based on sexual orientation. Since Democrats now have 2020 presidential candidates that fit into several of these categories, now would be a good time for pollsters to ask the question again. “Clearly concerned that more insurgents like New York Rep. Alexandria Ocasio-Cortez could unseat established House members in party primaries (as AOC did last year to Speaker-in-Waiting Joe Crowley), the DCCC has announced it will not give work to any consultant or pollster who dares to work for candidates challenging congressional incumbents in Democratic primaries…Democrats should remember that it’s not just Obama who once had the chutzpah to challenge a Democratic incumbent. In many ways, the Democratic Party of the last 50 years emerged from Democrats’ challenges to an incumbent Democratic president. The campaigns that Sens. Eugene McCarthy and Robert F. Kennedy waged against President Lyndon Johnson in 1968 redefined the Democrats for decades going forward, and produced a generation of political operatives who subsequently steered numerous Democratic leaders to electoral victory. Those challenges, of course, grew out of the deep divisions over Johnson’s handling of the Vietnam War. Today, the Democrats are redefining themselves again, and, now as then, not always to the party establishment’s liking…In 1968, however, while the party establishment strongly opposed those challenges, it didn’t enact any new rules — much less blacklists — to suppress them. That was the right decision then. It would be the right decision now. — From Harold Meyerson’s “Democrats are playing dirty to shut out progressive new voices. They should rethink that strategy” in the Los Angeles Times. Activists interested in exploring direct democracy possibilities in the states will find a useful resource in Wikipedia’s entry on “Initiatives and Refenda in the United States,” which notes “Between 1904 and 2007, some 2231 statewide referendums initiated by citizens were held in the USA. 909 of these initiatives have been approved. Perhaps even greater is the number of such referendums that have been called by state legislatures or mandatory—600 compared to 311 civic initiatives in 2000-2007.” Ballotpedia adds, “In 2018, Ballotpedia tracked 203 proposals in 34 states. Of those, 34 were approved, 140 were rejected or abandoned, and nine were carried over to the next session.” Vox’s Stavros Agorakis has a round-up of ballot measures that passed in 2018, addressing Medicaid expansion, liberalization of pot laws, ex-felon enfranchisement, minimuim wage increase, same-day and automatic voter registration and redistricting and others. This map shows each state’s current rules for initiative, referenda and recall, color-coded key right here. An important new study of “The Battleground: Democratic Perspective,” featuring strategic analysis by Celinda Lake, Daniel Gotoff and Corey Teter, reveals key vulnerabilities and opportunities for Dems as the 2020 campaign begins. Democrats’ strong showing in the 2018 midterms was a solid step toward rehabilitation from the disastrous 2016 elections, though it would be a mistake to treat those results as a necessary predictor of success moving forward. In fact, despite the President’s historic levels of unpopularity, voters continue to profess favorable opinions of his stewardship over the economy and job creation (a qualified assessment, to be sure, given their expectations of yet another significant downturn); moreover, they tend to side with Republicans over Democrats on these issues,as well. Overall, this data continues to illustrate Democrats’ inherent weakness to respond on the economy, and if the Party does not rectify this soon,it will find itself in serious jeopardy for the 2020 election. Indeed, Democrats still face the challenge of articulating a bold, compelling economic vision that rises above the safety of platitudes, or that seeks to convince voters that a reprise of the economy of the 1990s or the early 2010s is sufficient to address the scale of the economy’s persistent failings—a perilous gambit that cedes the dimension of change to the opposition and ignores voters’ fears and their aspirations for the future. Democrats have major advantages on healthcare and education which contributed largely to their success in 2018. The challenge facing the Party ahead is to translate those advantages into a bigger economic frame…Democrats stand to profit immensely by capitalizing on the President’s and his Party’s glaring vulnerabilities regarding their ties to the same powerful special interests that dominate American politics and government and are at the root of voters’ desire to chart a decidedly new course. Pursuing these strategies will require more than just highlighting the President’s flaws ;they will require some measure of risk from Democrats as they offer a bold new trajectory and true security – economically, domestically, and internationally – for the American people. As has been the trend since he was elected, African Americans (83% disapprove, incl. 69% “strongly”disapprove) and Latinx voters (69% disapprove, incl. 59% “strongly” disapprove) continue to be amongthe President’s strongest detractors. There is also a very large gender gap with men —of whom 50% approve and 46% disapprove—and women—of whom 37% approve and 60% disapprove. And while thePresident’s rating among seniors is somewhat mixed (45% approve, 50% disapprove) his ratings amongmillennials (34% approve, 58% disapprove) is an ominous sign for the Republican Party’s future, and highlights the complexity of the GOP’s challenge, which continues to be not just racial , ethnic, and along gender lines, but generational too. With respect to leading issues, the study notes that “a majority of voters disapprove of Trump’s handling of health care(33% approve, 58% disapprove), immigration (41% approve, 56% disapprove), and foreign affairs (41% approve, 54% disapprove).” There appears to be a split verdict on his “handling of taxes,” with 45 percent approving and 47 percent disapproving. The study finds that Trump’s “trust-deficit” on health care provides “one of the Democrats’ strongest advantages going forward—though Democrats will need to offer a strong alternative in order to leverage this advantage in the context of a presidential election, which is much more a choice between two competing visions than a referendum on a president’s first term.” The study also finds a 9-point edge for Democrats on immigration, which the authors call “quite remarkable,” considering Trump’s incessant flogging of the issue. As a result of his strong numbers, voters also currently trust the President more than Democrats on moving the economy forward (52% trust Trump vs. 40% trust Democrats) and future job creation (50% trust Trump vs. 39% trust Democrats). In a troubling sign for Democrats, Trump is trusted more on these two vital issues by a number of important swing constituencies, including independents (+35oneconomy, +37 on jobs), white women (+8 on economy, +8 on jobs), and self -described moderate voters (+19 on economy, +20 on jobs). Voters place more modest levels of trust in Trump over Democrats on the issue of National Security(47%to43%), but it is his advantage on the economy and jobs that poses the greatest challenge for Democrats, particularly as Democrats have never won the White House when trailing on this central front. Currently, the Democrats hold a five-point advantage in a 2020 generic congressional ballot (Dem 42%, GOP 37%), which is down slightly from the eight-point lead they held before the 2018 midterms. The gender gap seen in previous Battleground Polls also remains alive and well, with women supporting the Democrats by an 18-point margin (Dem 48%, GOP 30%), and men the Republicans by a 9-point margin (Dem 35%, GOP 44%). The marital gap is perhaps even more stunning: marriedmen are voting Republican by a 16-point margin (Dem 34%, GOP 50%), while married women are split (Dem 39%, GOP 38%). Single women are voting Democratic by an enormous 54-point margin (Dem 65%, GOP 11%), and single men by 10 points (Dem 43%, GOP 33%). Independents, meanwhile, appear completely up for grabs, with a whopping 68% of these voters fully undecided. And while self-described moderate voters currentlyprefer Democrats by a 13-point margin (Dem 30%, GOP 17%), a 52% majority of these voters are also uncommitted. 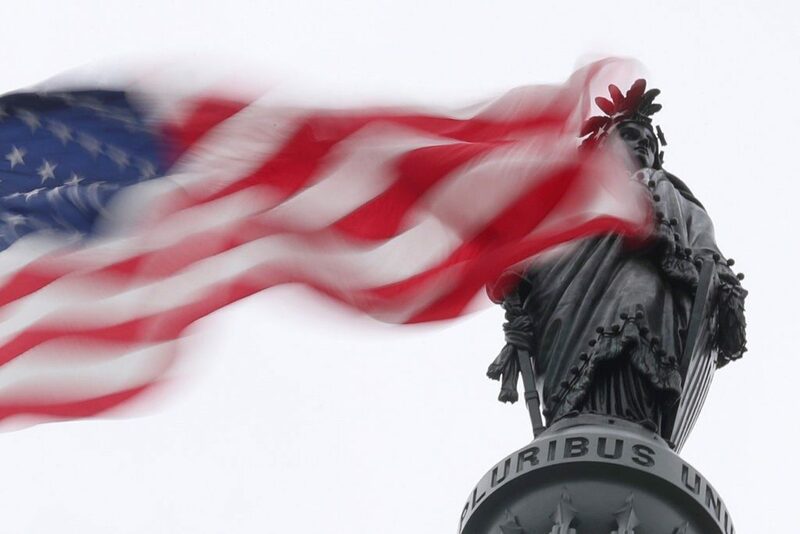 Given the high levels of dissatisfaction with the direction of the country and the country’s political leaders, the American electorate remains fundamentally change-oriented. And while the President’s unpopularity certainly continues to present opportunities for the Democratic Party moving forward, attacking Trump will not be enough, particularly with a significant number of voters seemingly able to reconcile their misgivings about Trump with positive ratings of his handling of the economy. 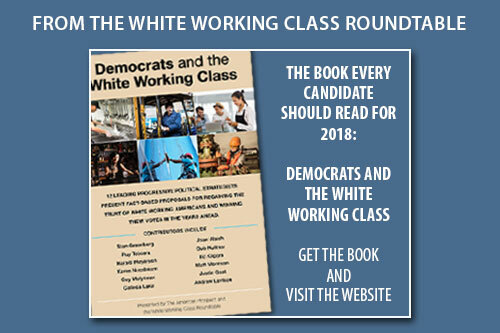 As 2020 continues to come closer into focus, Democrats will be best served by advancing an audacious, forward-thinking agenda that takes on the powerful special interests and delivers real change for the American people, exploiting the dimensions where the Party already enjoys advantages (though has failed to capitalize with proposals that tinker around the edge of real reform) and advancing on terrain where they continue to trail (i.e. the economy). Although the economy and jobs remains a potentialy-pivotal wild card leading up to the 2020 elections, Democrats would be well-served to focus on the Lake Research recommendations, which can strengthen the Party’s “brand” in any case. How Dems can talk to working class voters about immigration. Three Simplistic Political Strategies Dems Need to Put Aside. Three profoundly dangerous myths about the 2018 elections. Dems–we’re already winning the “long-haul” campaign for America’s future. Democrats must take opinion data seriously when proposing new programs. © 2006-2019 The Democratic Strategist.